"Let nothing frighten or grieve you, let not your heart be disturbed, do not fear any sickness or anguish. Am I not here, who am your Mother? Are you not under my shadow and protection? Am I not your fountain of life (your health)? Are you not happily within the folds of my mantle, held safely in my arms? What else do you wish?" 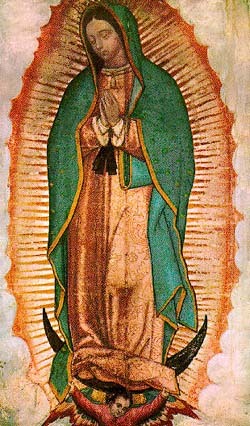 -Our Lady's words to Juan Diego, 1531. Pray as you feel moved. "To Jesus through Mary": visit the Virtual Shrine of Jesus Christ, Our God!